XML video sitemaps are vital for the indexation of your videos by search engines; they should be a concise list of all videos that you want to be indexed. These sitemaps can also include embedded videos on your site that are hosted on YouTube or Vimeo. They improve your chances of having your videos appear in the Video Search results. This can help Google to discover videos that may have otherwise not been found; or point them to areas of your site where there are more videos. We describe in more detail below what each of the above tag means and how they should be used. Includes a <video:video> element for each video on the stipulated URL. This is where to specify the URL of the video thumbnail image file. If you are using HTML within the title, this should be escaped or wrapped in a CDATA block to allow it to be read. This is because the sitemap is in an XML format, to read more about CDATA, read this guide. Google recommends that the title specified in this tag matches the video title used on the web page that contains the video. If you are using HTML in the description, this should be escaped or wrapped in a CDATA block to allow it to be read. This is because the sitemap is in an XML format, to read more about CDATA, read this guide. Google recommends that the description specified in this tag broadly matches the video title used on the web page that contains the video. This is where to specify the URL or location of the video itself, if you are hosting a video on your site; use this tag… If you are embedding the video use the <video:player_loc> tag described in the next section. This must be a URL pointing to the video file. Perform a reverse DNS lookup to verify that the video can be accessed by Google. This is where to specify the URL or location of the video itself, if you are embedding the video; use this <video:player_loc> tag to define its location. This must bear some relationship to an actual rating of your video. This represents number of times the video has been viewed. If you select ‘Yes’, the video will be available to users with SafeSearch turned on. If you select ‘No’, the video will only be available to users with SafeSearch turned off. This is where you can specify the ‘category’ of the video. This can be any category you want, we produce videos on SEO, so we give most videos the category of ‘SEO’ and tags like ‘sitemaps’ and ‘backlinks’. The ‘category’ should not exceed 256 characters. The required attribute relationship specifies whether the video is restricted or permitted for the countries specified. The values available to you are; allow or deny. The currency is a required attribute that is specified in ISO 4217 format. This tag allows you to specify if the user needs a subscription (either paid or free) in order to view the video content. The optional attribute ‘info’ allows you to specify the URL of a page with more information about this specified uploader. Only one ‘platform’ tag can be used for any individual video. This tag allows you to specify whether the video is a live stream or not. If a site has thousands of videos it becomes more important to distribute these videos over several sitemaps, this makes it easier to identify indexing issues. 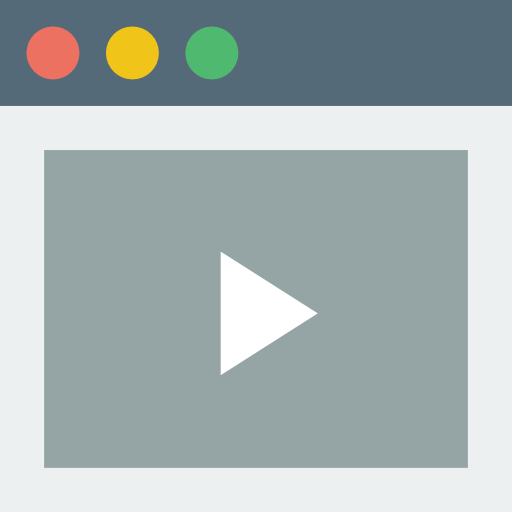 By having smaller sitemaps, you can more easily see what videos are not being indexed. For example, you could have XML sitemaps for videos used in your blog, for products, infographics, etc… If you have a single sitemap with all videos listed in it, and you notice that only 50% of them are indexed, you have no way to easily dive deeper into the issue. Vs a series of smaller video sitemaps, you could more easily and quickly see where the problem exists (most of the time). There should be no more than 1,000 links per sitemap and the maximum file size should not exceed 10MB, Sitemaps.org confirm this. This helps prevent your web server from being weighed down serving large files. 1,000 URLs is a good amount of URLs, see the section on site structure below for more information on how to break this up. We cover this in more detail in another part of the knowledge base that addresses SEO Tools and how to use them. But for now, it is worth noting that the video sitemap should be submitted to Google Webmaster Tools. We have listed below the most common mistakes that we see in video sitemaps. Do not include videos in the video sitemaps that you have disallowed from being crawled by the robots.txt; this wasted Google’s time and provides no benefit to you. In fact, if this happens on bulk it can also cause other problems; such as seeing increased volumes of videos not being indexed. Stipulating incorrect parameters such as ‘loc’ or ‘title’ can slow or impede proper indexing of the videos by Google.